Japanese Cherry Tree (commonly known as Sakura) are not just pretty pink flowers but also are the floral embodiment of Japan’s most deep-rooted cultural and philosophical beliefs. 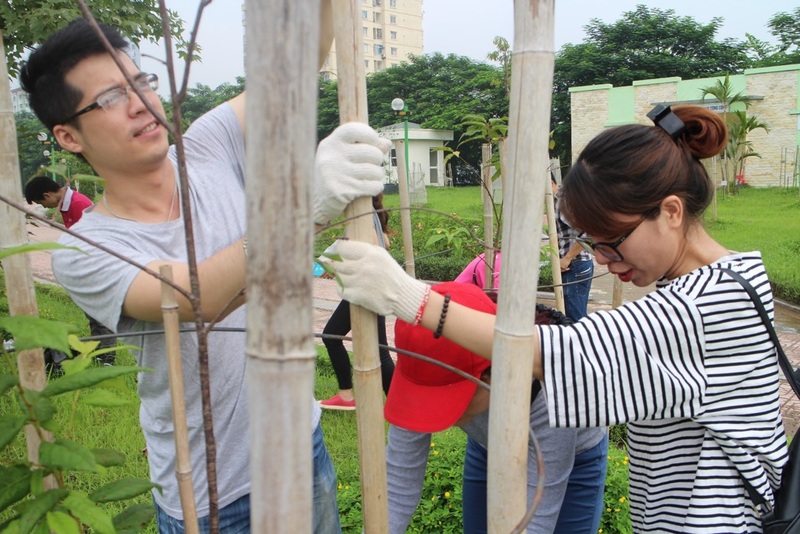 On March 18th, 2017, AEON Environmental Foundation in collaboration with the People’s Committee of Hanoi Capital held a ceremony for cherry tree plantations at Hoa Binh Park. Throughout the event 200 cherry trees were planted. 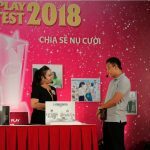 Then, based on the Foundation’s activities, AEON Environmental Foundation plans to support the plantation of 3,000 cherry trees for Hanoi in the future. Cherry trees are beautiful and vibrant, but they’re also finicky and hard to grow. 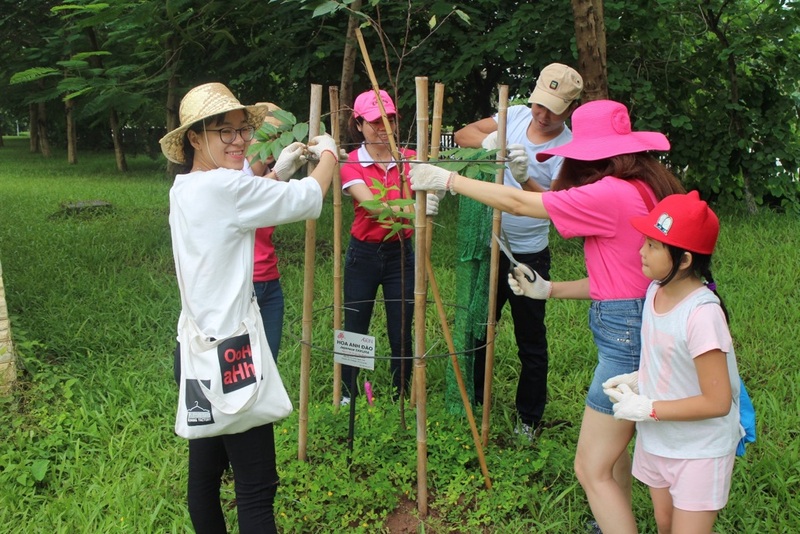 “To ensure these trees can survive in Vietnam, we had traveled to many places, met and talked to many experts to understand deeply the weather and soil in different regions in Vietnam and then choose the right methods for grooming the trees. Planting trees is one of the easiest and most sustainable ways to positively affect the environment. We need trees now more than ever! 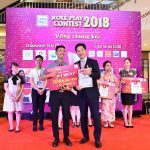 Trees are our lifeline to cleaner air and a healthier environment” said Mr. Iwamura Yasutsugu, General Director of AEONMALL Vietnam. 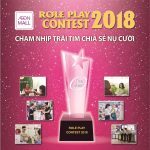 The trees have been growing well since they were planted in March 2017 with the frequently caring of all the volunteers who are not only employees of AEONMALL Vietnam but also their family members. 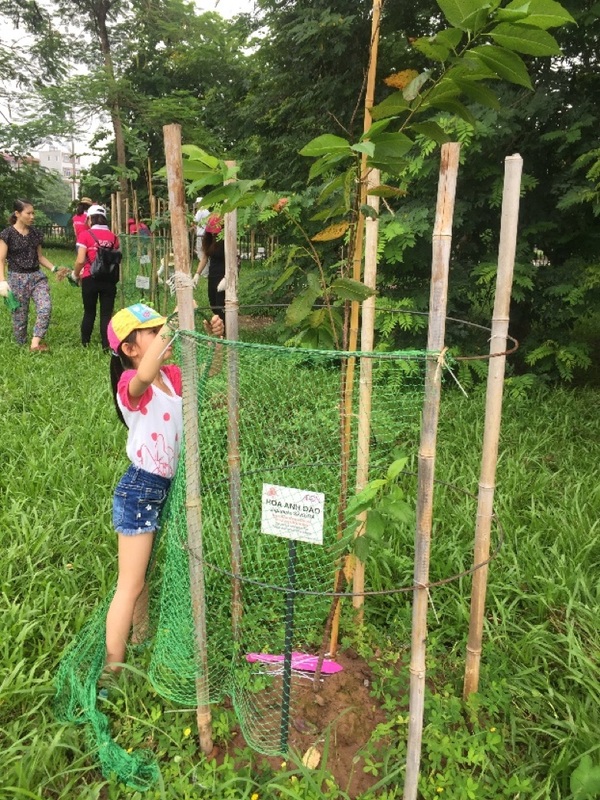 Minh Nguyet, a volunteer from AEONMALL Vietnam, Development Department shared that her daughter was very excited when having chance to join the Tree Caring Day organized on 23rd September 2017. The daughter showed great enthusiasm for caring the trees. Nguyet hopes that by joining this activity her daughter will know how to care for the environment from the young age. “Our effort of planting and caring for the trees will continue and we hope that there will be more and more people in the community joining hands with us to protect our Mother Earth” said Mr. Iwamura Yasutsugu. 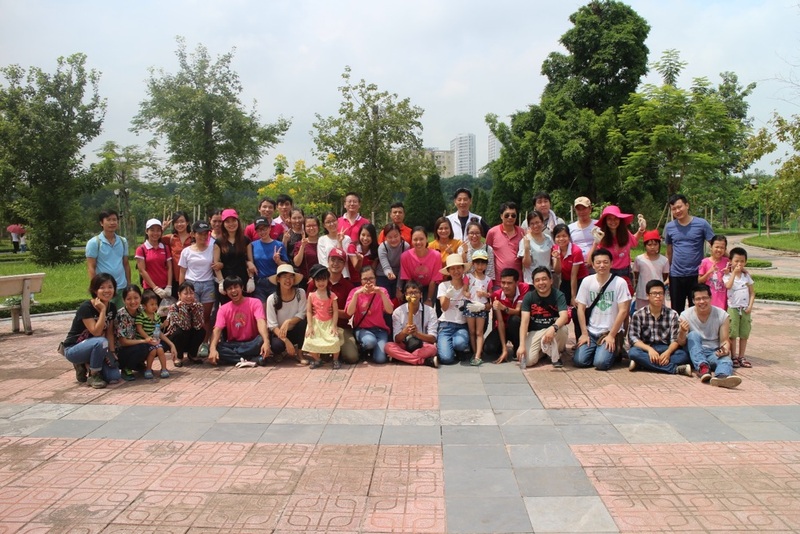 The Japanese Cherry Trees in Hanoi are not only a wonderful symbol for friendship between Japan and Vietnam, but it also emphasizes the participation of businesses such as AEON Group and AEONMALL Vietnam in the cause of environmental protection and biodiversity conservation in Vietnam.